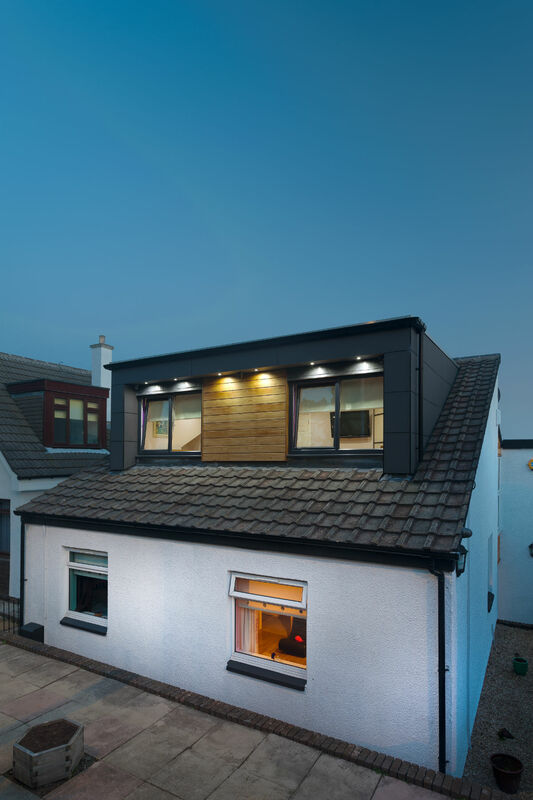 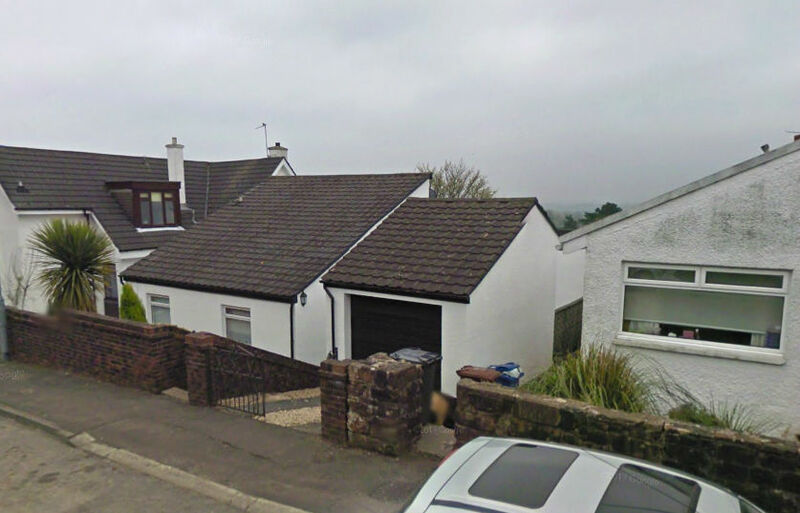 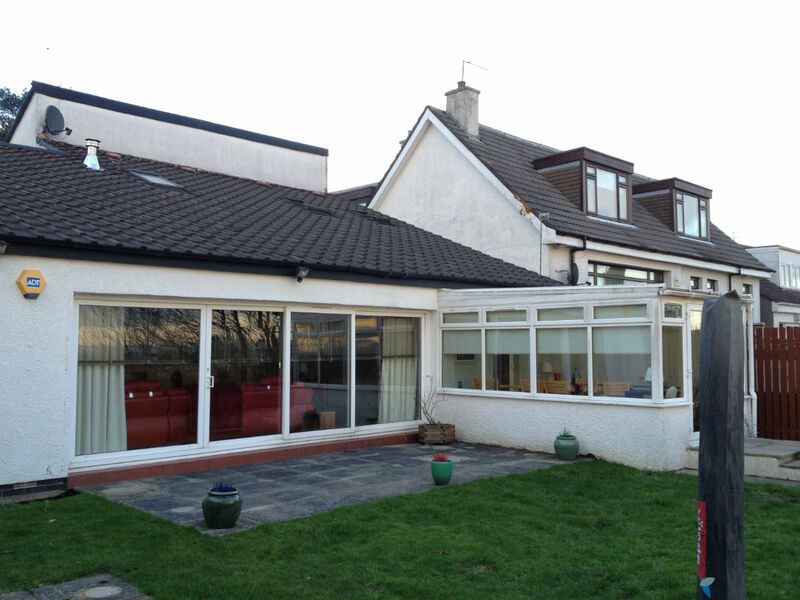 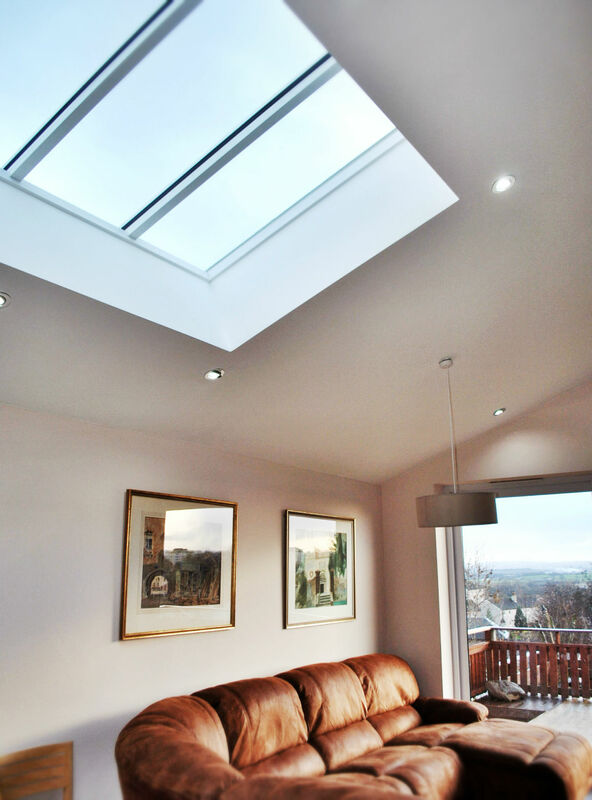 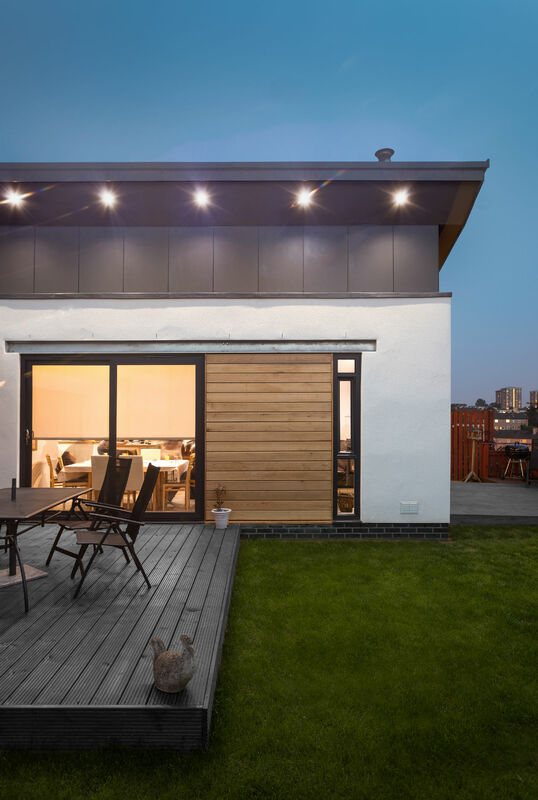 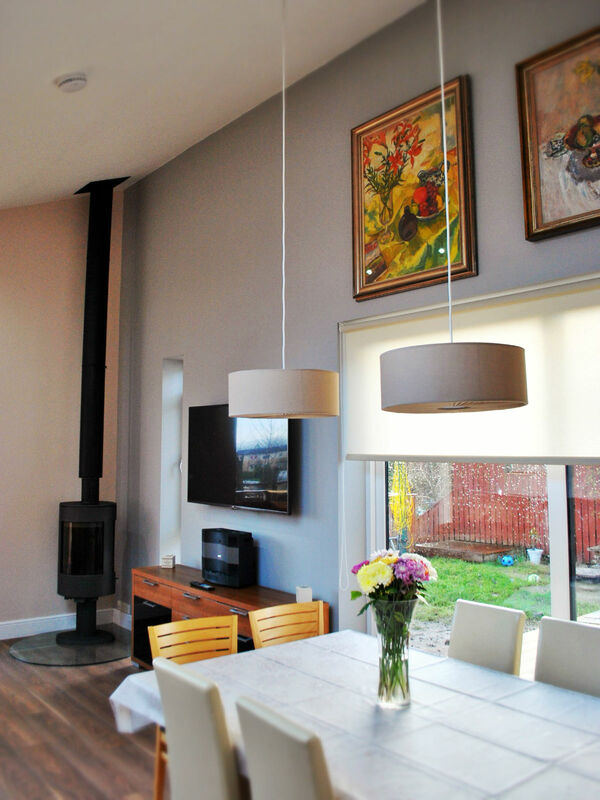 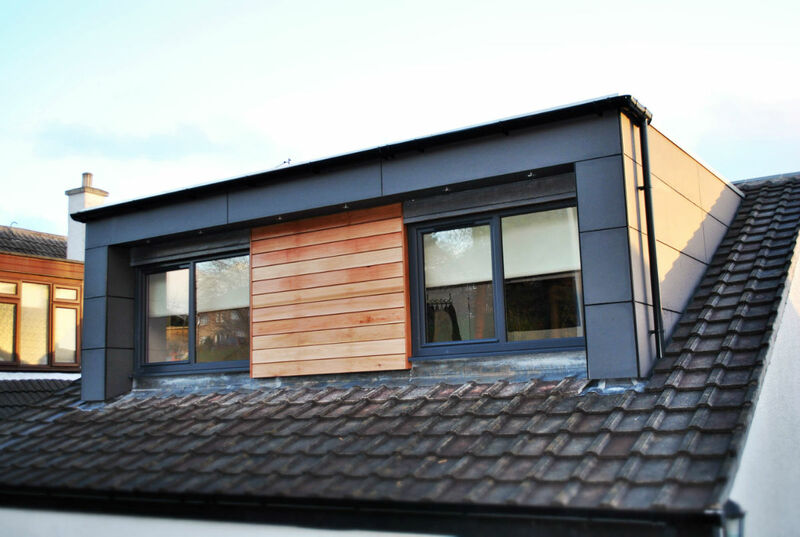 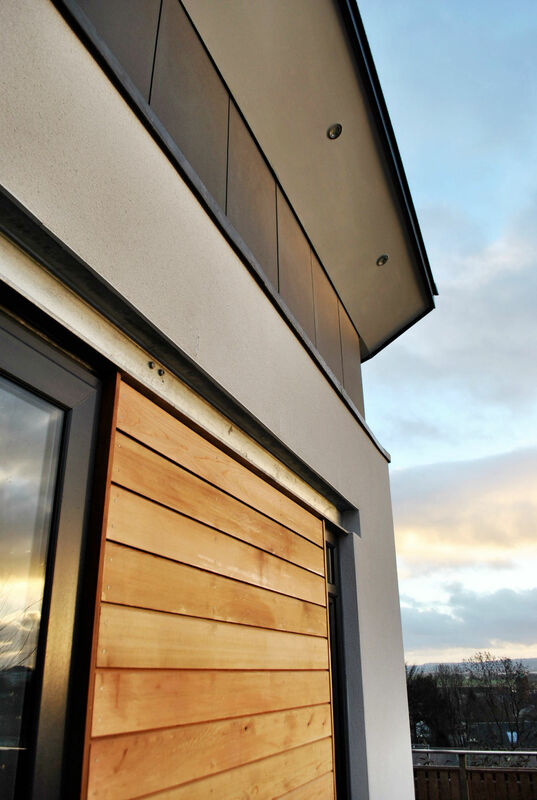 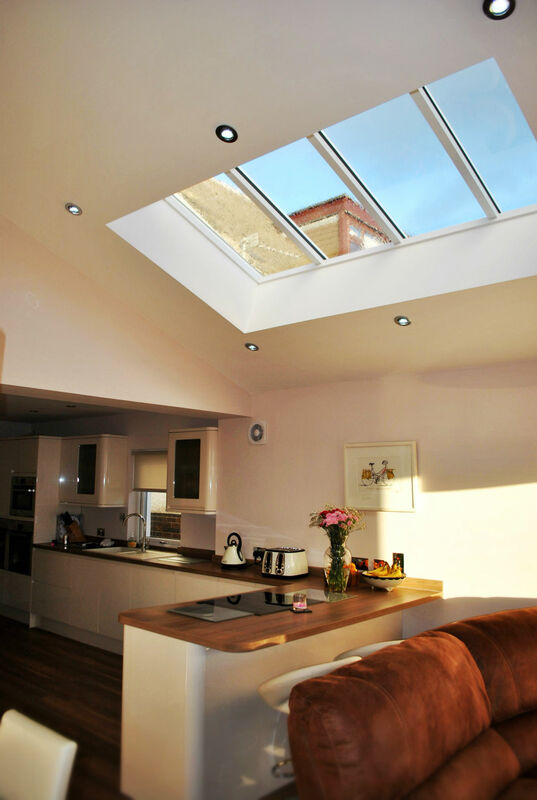 Coogan Architects were commissioned to design a loft conversion and rear extension to this house in Clydebank. 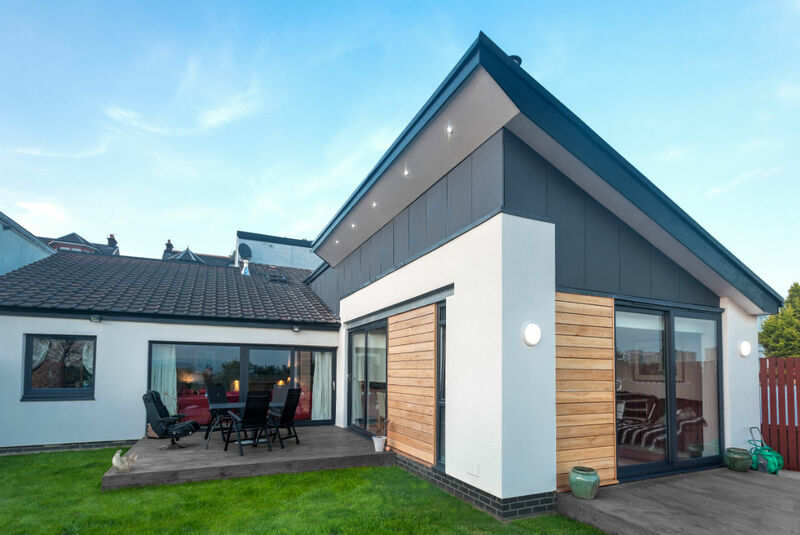 An interesting mono-pitched split-level existing house provided the inspiration behind the design. 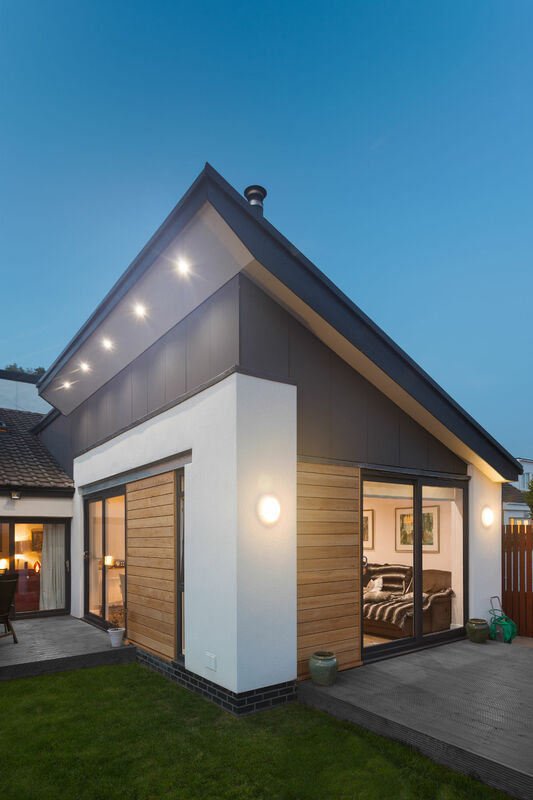 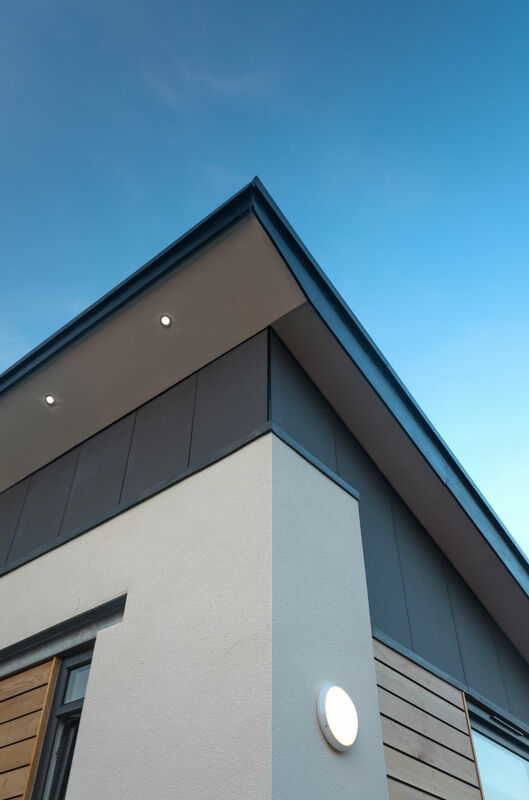 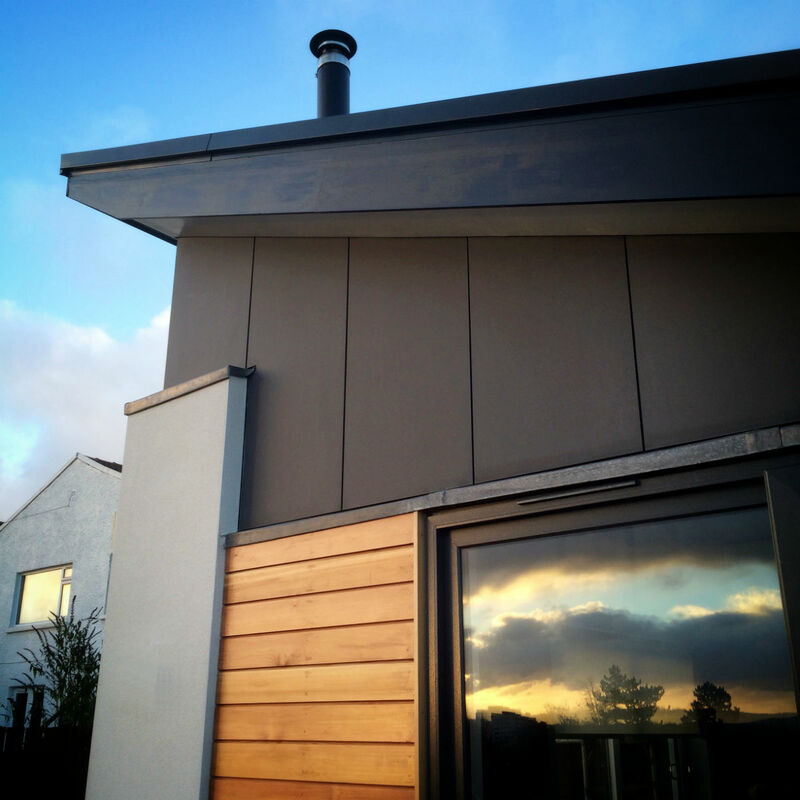 Vaulted ceilings with a rich palette of grey Eternit cladding, smooth white render, western-red cedar cladding and galvanised steel, all contributed towards this contemporary addition.